The plantar fascia is a thick band of connective tissue (collagen) that starts from the heel and inserts into the toes. It supports the arch and provides dynamic shock absorption. Pain is usually of gradual onset and can feel like a sharp stab or deep ache, most commonly in the heel of the foot. It is often worse of a morning (first step pain) and settles down with activity as the area warms up. Pain may be present post-activity and after long periods sitting down. Patients with very high arches or low arches are at risk of developing plantar fasciitis. This can be due to poor shock absorption or increased strain on the plantar fascia respectively. Overtraining, running on hard surfaces, wearing old shoes or tight calf muscles and Achilles tendons may also contribute. 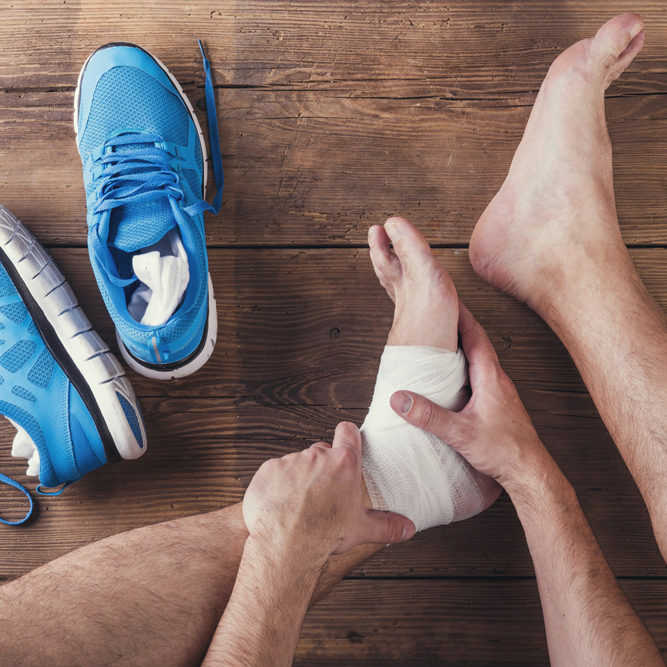 Plantar Fasciitis is a persistent condition which gets worse and more difficult to treat the longer it’s present.